Halil Kiymaz is Bank of America Professor of Finance at the Crummer Graduate School of Business, Rollins College. He also served as the Faculty Director of the Key Executive MBA Program. Before joining the Crummer School, Professor Kiymaz taught at the University of Houston-Clear Lake, Bilkent University, and the University of New Orleans. He holds the Chartered Financial Analyst (CFA) designation and has served as a grader for theCFA Institute. Professor Kiymaz maintains an extensive research agenda focusing on international mergers and acquisitions, emerging capital markets, linkages among capital markets of developing economies, IPOs, and financial management of multinationals. His published books include “Mutual Funds – Building Blocks for Investment Portfolios”, Oxford University Press, (2016), “Private Equity: Opportunities and Risks”, Oxford University Press (2015), “Market Microstructure in Emerging and Developed Markets”, Robert W. Kolb Series in Finance, John Wiley & Sons, Inc., (2013) and “The Art of Capital Restructuring: Creating Shareholder Value through Mergers and Acquisitions”, Robert W. Kolb Series in Finance, John Wiley & Sons, Inc., (2011). He has published more than 70 articles in scholarly and practitioner journals. 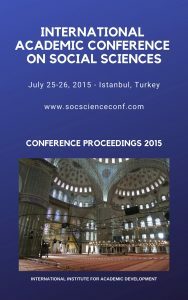 His research has appeared in the Journal of Banking and Finance, Financial Review, Global Finance Journal, Journal of Applied Finance, Journal of Economics and Finance, Review of Financial Economics, Quarterly Journal of Business and Economics, Thunderbird International Business Review, among others. He is recipient of several research awards including McGraw-Hill Irwin Best Paper Award and Outstanding Research Awardat the Global Conference on Business and Finance. Professor Kiymaz is the finance editor ofInternational Journal of Emerging Marketsand also serves on the editorial board of numerous journals including theEurasian Review of Economics and Finance,Journal of Emerging Markets, Journal of Economics, Business, and Finance, and Advances in Accounting, Finance, and Economics. At the Crummer Graduate School of Business, Professor Kiymaz teaches courses in mergers and acquisitions, investment banking, international financial management, and corporate finance. He has received many awards for teaching, research, and service including Professor of the Year Award for 2007, 2009, 2011, 2013, 2014, and 2015at the Crummer Graduate School of Business and Outstanding Scholar of Year Award at the University of Houston-Clear Lake. He was also a Fulbright U.S. Scholar during 2012-2013 academic year. 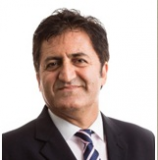 Professor Kiymaz has successfully placed many of his former students into investment banking roles in various institutions. Professor Kiymaz has consulting and training experience with various governmental and public organizations including the Central Bank of Turkey, Bankers Association, and Stalla among others. He has been listed in various biographies including Who’s Who Among America’s Teachers, Who’s Who in Business Higher Education, Academic Keys Who’s Who in Finance and Industry, International Who’s Who of Professionals by Who’s Who Historical Society,and Marquis Who’s Who. Professor Kiymaz received a BS in Business Administration from Uludag University andan MBA, a MA (economics), and a PhD (financial economics) from the University of New Orleans. He began his academic career at Bilkent University before joining the University of Houston-Clear Lake and later moved to Rollins College. 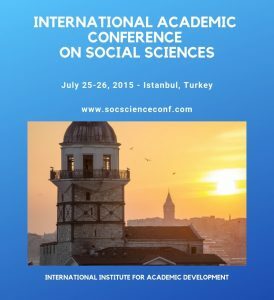 Professor Kiymaz also holds held visiting professor positions at the IMADEC University, School of International Business, Vienna, Austria; East Chinese University of Science and Technology, Shanghai, China, Copenhagen Business School in Copenhagen, Denmark, and Kadir Has University, Istanbul, Turkey. 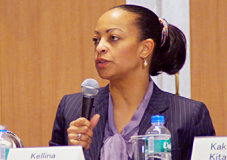 Kellina M. Craig-Henderson, Ph.D. is the Head of the Tokyo office of the National Science Foundation. Before her current appointment, she served as the Deputy Division Director of the Social and Economic Sciences Division of the Social, Behavioral and Economic Sciences Directorate of the National Science Foundation (NSF). She is a former Professor of Social Psychology and retains an affiliation with the Department of Psychology at Howard University where she was promoted to the rank of Full Professor shortly before undertaking full-time Federal service at NSF. Dr. Craig-Henderson graduated from Wesleyan University in Connecticut before attending the Master’s Program in the social Sciences at the University of Chicago where she earned a M.A. Immediately following that she attended Tulane University in New Orleans, Louisiana and earned an M.S. and a Ph.D. in Psychology. She served on the faculty in the Department of Psychology as well as the Afro-American Studies and Research program at the University of Illinois in Champaign-Urbana. This was followed by an appointment in the Psychology Department of California State University in Long Beach. She subsequently moved to Howard University in Washington, DC. Dr. Craig-Henderson remains passionate about broadening the participation of underrepresented groups, and has been involved in a number of activities which share this focus.